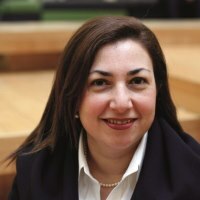 Dr Armine Ishkanian is an Associate Professor and the Programme Director of the MSc in Social Policy & Development (State and NGO Streams) in the Department of Social Policy at the London School of Economics (LSE). Her research examines the relationship between civil society, democracy, development, and social transformation. She has examined how civil society organisations and social movements engage in policy processes and transformative politics in a number of countries, including Armenia, Egypt, Greece, and the UK. She is the author of two books and numerous peer reviewed academic articles, and is co-editor of the openMovements page on openDemocracy.net.